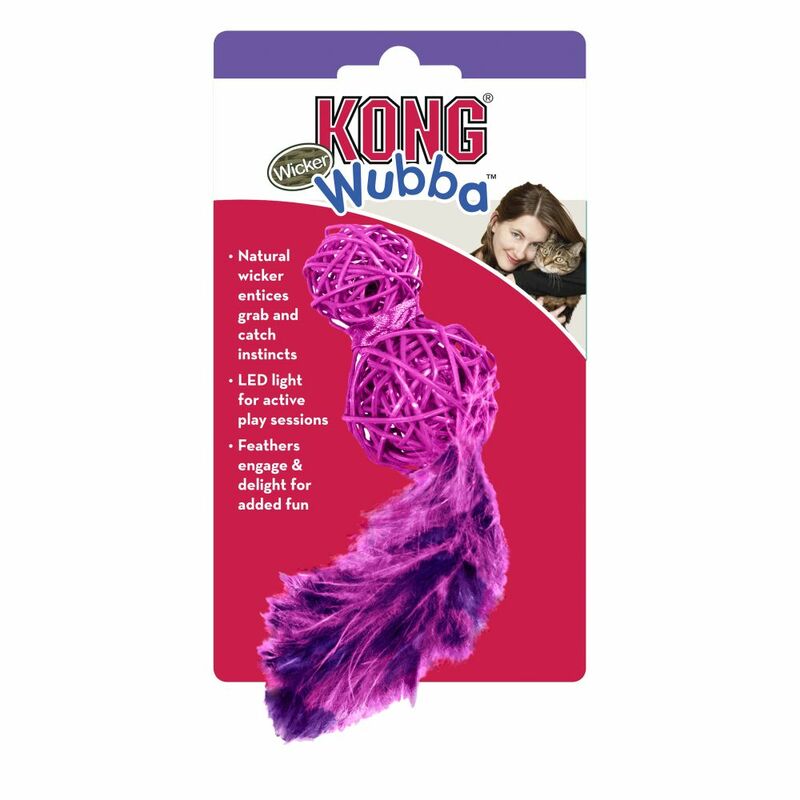 KONG® Cat Wubba is specifically developed to appeal to a cat’s instinctive desire to stalk and capture prey. 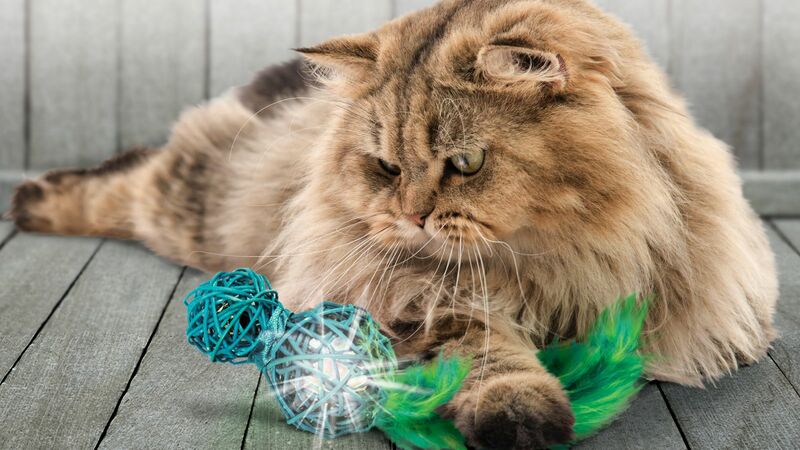 KONG Wicker Wubba has natural wicker material sure to delight a kitty’s grab and catch instincts. 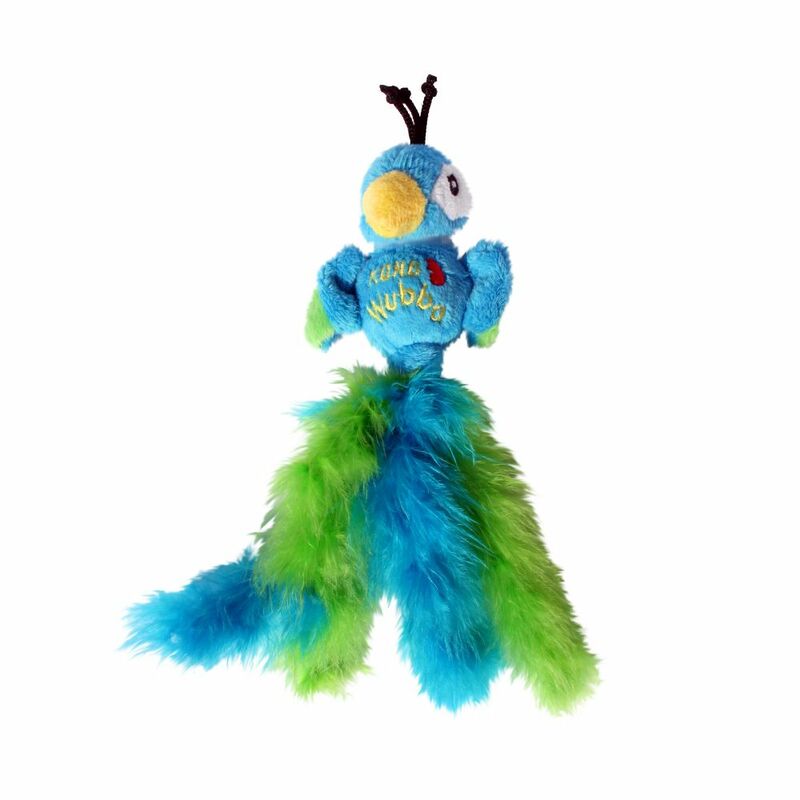 An LED light adds excitement and engagement to play sessions while colorful feathers add fun and extend playtime.